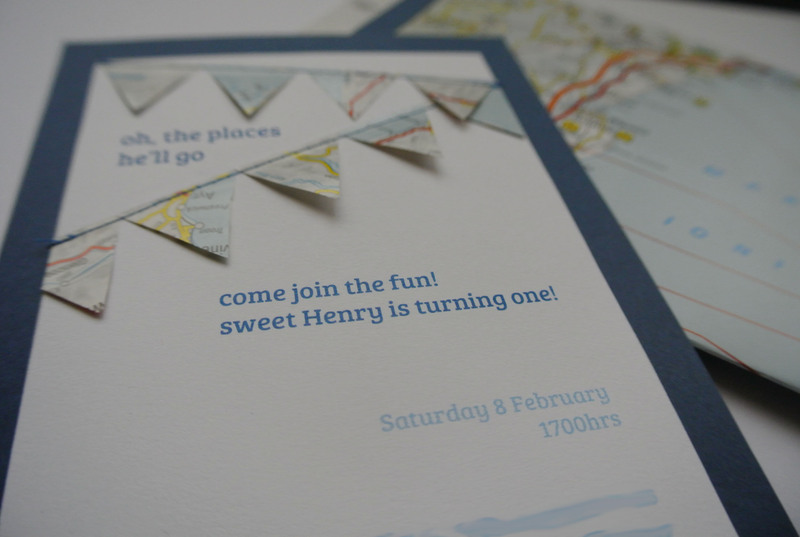 Its true, it was only a very small gathering of family, but I fell in love with these invites as soon as I saw them and I knew I just had to make them. They fit in perfectly with the theme – how could I not make them?! I even made the little map envelopes. You can download the envelope template here. Trim your map sheets to A4 to fit into your printer and just print out the template straight onto the map, trim, fold and glue. The maps I had this bright yellow stripe going across the edge and so i covered it with strips of blue cardstock, it ended up giving the envelopes a complimenting look and make them a bit sturdier too. 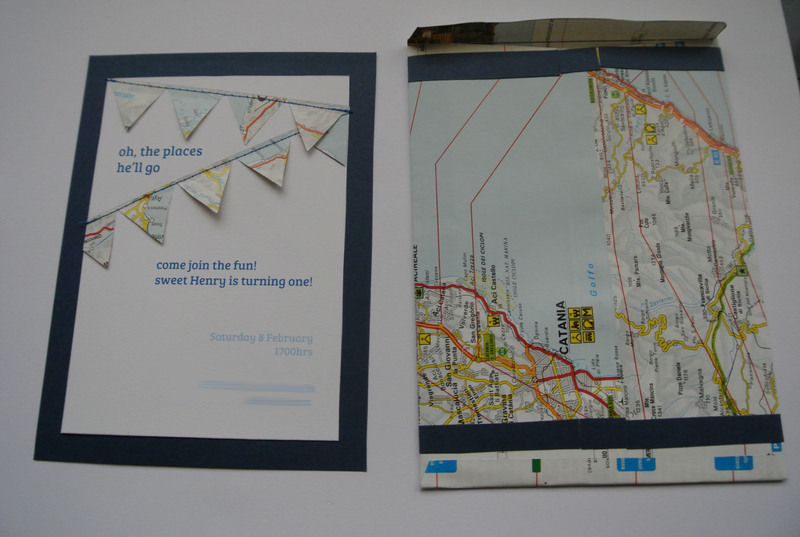 For the invite itself, I printed out the invite on thin cardstock and glued it onto the A5 blue cardstock. Cut little triangles for the bunting, add a dab of glue to keep in place and stitched the top edge right through the blue and white cardstock.